Fissures have erupted within the Australian Labor Party over whether Australia should join the US in conducting freedom of navigation operations (FONOPs) in the South China Sea. Former opposition defence spokesman, Stephen Conroy, announced a hawkish Labor position following the Permanent Court of Arbitration’s (PCA) findings, and his successor Richard Marles has doubled down. Marles’ comments drew sharp rebuke from former Labor Prime Minister Paul Keating, while former Labor Foreign Minister Bob Carr has urged a cautious Australian approach to managing the dispute. 1. America’s strategy in the South China Sea. 2. America’s waning influence in Asia. 4. Labor’s approach to national security. 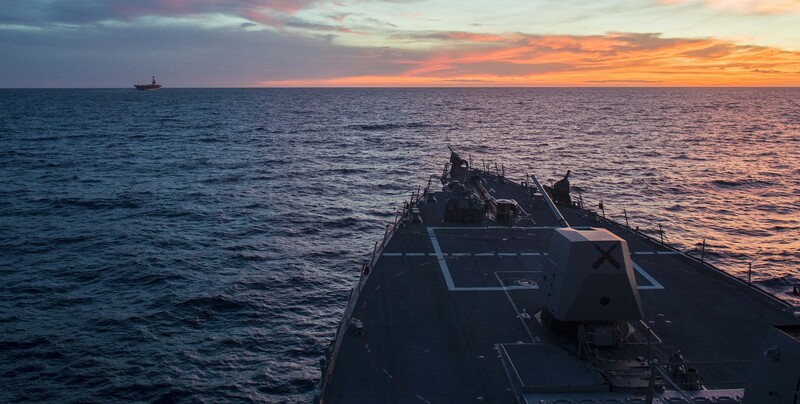 First, let’s just admit what everyone already knows: when it comes to the South China Sea, the US has no objectives, no commitment, and no strategy. If America’s goal in the South China Sea is to dissuade China from continuing land reclamation activities, then it is very unclear how FONOPs will meet this objective. If it is merely to underscore that artificial islands do not have a territorial sea, then just say so and demonstrate this by not altering existing practice: there is no need to risk escalating conflict over such a non-issue. If the US is committed to checking China’s expansion in the region, then it needs to put skin in the game. There is no evidence thus far of that intention. In short, Washington is not asking its ally to assume strategic risk for a greater collective good, but rather inviting Australia to stand barefoot while they mindlessly poke a cobra with a stick. Second, the Philippines’ new president Rodrigo Duterte is emotionally driven and highly erratic. He has openly (and repeatedly) called Obama a ‘son of a whore’ for daring to suggest that extrajudicial murder is poor public policy. More importantly, he’s sought to align himself and his country with China and Russia, despite a bilateral connection with the US of comparable longevity to Australia’s. Due to his erratic behaviour and the strongly pro-US leanings of the Filipino population, significant doubts persist as to whether Duterte can pull this off. Yet this is beside the point: for the first time the leader of a US-aligned Asian power has broken in favour of Beijing. No longer a theoretical possibility, it’s a crippling blow to whatever collective arrangement in Asia the US had hoped to craft. With the exception of Japan, Duterte’s defection guarantees other US allies will maintain a pragmatic China policy. Certainly any effective action by Australia in support of the PCA’s ruling is now impossible, while the long-term implications for US influence in Asia is not yet fully appreciated. Third, Marles’ comments on the ADF (which he has since clarified) brings into focus the appropriate relationship between the government and senior service personnel. Marles appears to advocate a classic Huntington approach to civil-military relations: governments set military objectives and then trust in the professionalism of generals and admirals to achieve them. But distinctions need be made between warfighting and operations aimed at communicating through military means. The former relates to combat, and here commanders do need autonomy to act free of unnecessary political interference. After all, they’re the ones doing the fighting and dying, and they must be able to adapt and improvise. However, some military operations are aimed at sending signals rather than engaging in organised violence. In these instances, direct civilian control is essential. One can easily imagine what would have happened had Kennedy and McNamara delegated the Cuban blockade to Curtis LeMay. Likewise, an Australian FONOP exercise in the South China Sea (however ill-advised) would be designed to avoid conflict, not start one, and therefore it's neither desirable nor possible for civilian leaders to divest themselves from direct operational oversight. Finally, there’s the Labor Party’s national security approach more broadly. In the lead up to the last election Labor did contortions to associate itself with the government’s national security agenda. The strategy behind this was clear: since the Liberal party enjoyed electoral advantages in this area, Labor sought to instead draw sharp distinctions with the government on traditional Labor strengths such as health and education. Now that the election is over, it's incumbent on the Opposition to stop being craven and challenge the government on national security with reasoned argument and a clear grand strategy. The Australian people are not foolish. Greater electoral credibility will be afforded to the those who prove most credible, not whomever is fastest at hoisting a flag. This need for maturity is urgent, for the hollow mantra of ‘not having to choose between Washington and Beijing’ has already passed into obsolescence. We are making this choice each and every day, and the test of statecraft for current leaders is to manage this critical and delicate balance. In sum, Labor should not be afraid to differentiate itself from the government on national security, nor be insecure about its alliance credentials. To the contrary, Labor must lead the debate and prove to the Australian people that it is up to this critical task.